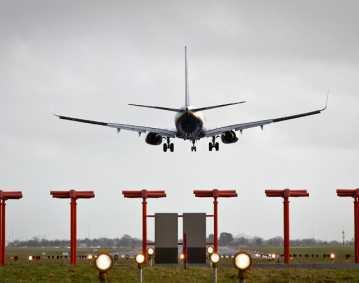 The Precision Approach Path Indicator (PAPI) is a light system positioned beside the runway that consists of two, three, or four boxes of lights that provide a visual indication of an aircraft’s (fixed wing or rotor wing) position on the glidepath for the associated runway. The FAA standard for the PAPI is the same as the ICAO’s standard Visual Approach Slope Indicator. The PAPI is usually located on the left side of the runway and can be seen up to five miles during the day and twenty miles at night. It has two or four lights installed in a single row instead of far and near bars that would be characteristic of Visual Approach Slope Indicator (VASI). Each box of lights is equipped with an optical apparatus that splits light output into two segments, red and white. 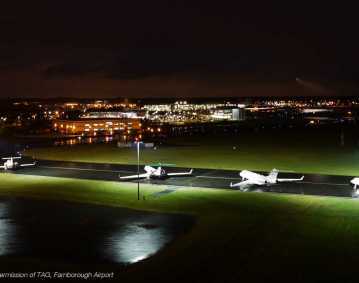 Depending on the angle of approach, the lights will appear either red or white to the pilot. Ideally the total of lights will change from white to half red, moving in succession from left to right side. The pilot will have reached the normal glidepath (usually 3 degrees) when there is an even split in red and white lights. 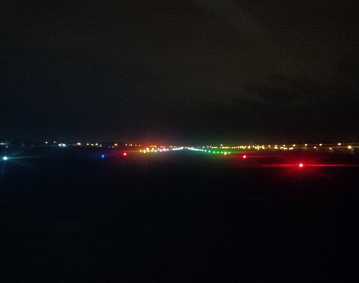 If an aircraft is beneath the glidepath, red lights will outnumber white; if an aircraft is above the glidepath, more white lights are visible. 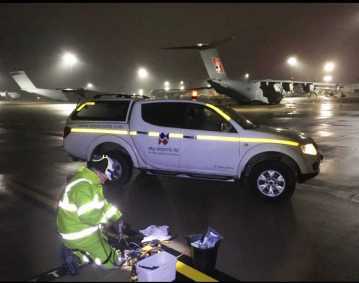 During aircraft descent, this system, along with other airport lights, may be activated by the pilot by keying the aircraft microphone with the aircraft’s communication radio tuned to the CTAF.